The creators of BMOG announced the release of their 100th Replacement Titans Return face, Unicron, through the Shapeways 3d printing service today. Each of these easy-to-use modification kits consists of a 3d printed face (in your choice of material and color) that can be swapped out with the removal of a single screw, allowing you to quickly and easily create new custom Transformers. The first 100 faces in this ongoing project include characters from across the more than 30 year history of the Transformers franchise in addition to new characters and crossover/mashup characters from Teenage Mutant Ninja Turtles, Masters of the Universe, G.I.Joe and even things like Cap’n Crunch! Each face is available in a number of materials, ranging from inexpensive strong and flexible plastics (which come in a variety of colors) to highly detailed black high-definition acrylate, which is comparable to mass-produced injection molded plastic. A typical face ranges between $5-$12 depending material choice. In addition to the faces, we also have a pair of pretender-shells, Slog of Monstructor and RaiRyu of Dinoforce, designed to hold a Titan Master in their backs. All 100 faces, along with a number of other 3d printables including action figure weapons and accessories in 3mm, 5mm and 4mm grips and full mini-figures, are available through the Octavriate Forge web store. Now through Friday, April 15th 2016, you can get our standard convention deal on the web! That’s all four retail colors for the Manta/Bear VS Pack: Piratical Purple, Military Black, Toxic Spill and Heroic Blue for $60, that’s a $20 savings! – Free shipping in the US! What’s a BMOG? It stands for Bio-Mechanical Ordnance Gestalt, a pack of 5mm action figure accessories that merge to form robotic animal partners. BMOG weapons are compatible with most Transformers, Teenage Mutant Ninja Turtles figures, and dozens of other modern and classic toylines! These four kits make a total of 40 weapons and accessories you can combine to form four bears and four manta rays OR combine parts to create all new creatures and weapons! You can get them together or individually through the BMOG Store. Unfortunate news regarding Splatterpus. After a year of preproduction Nonnef has declined to go further with the project, citing the destruction of the molds in the recent flooding of the Carolinas. We are currently looking for an alternative facility and are altering our development plans accordingly. Unfortunately, we cannot at this time say when production will begin. The Bear/Manta kits will be available at RICC, Nov 6-8, in the Heroic Blue, Piratical Purple, Toxic Spill and Military Black color schemes, $20 each or all 4 for $60. Drop by space 2120 for MOGs and more! 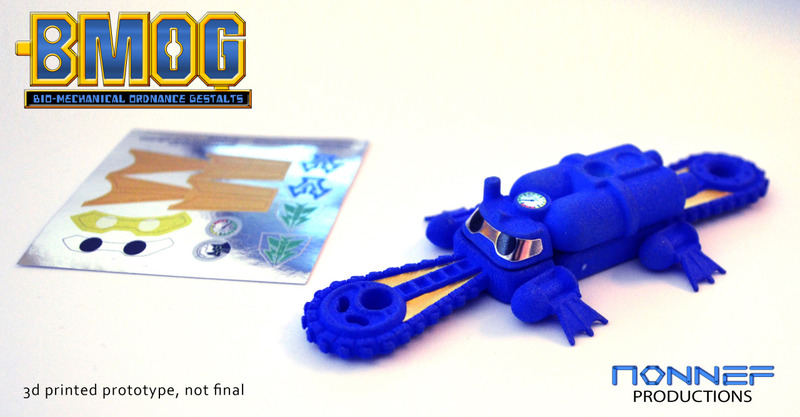 Recently debuted at TFCon Charlotte 2015, we’re releasing the blue BMOG colorway through the BMOG Store. 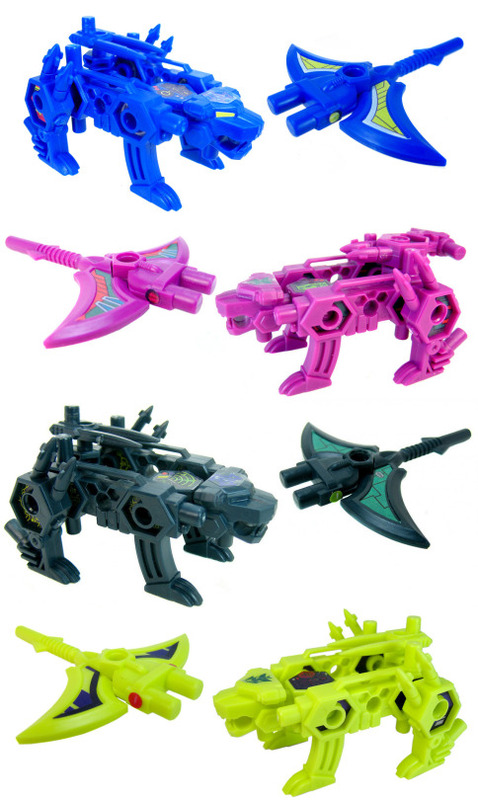 This 10 piece weapon set combines to form a robotic Bear and Manta Ray using 5mm pegs and ports which are compatible with most Transformers, Ninja Turtles and dozens of other action figure lines. Not only that, but thanks to changes in overhead we are now able to offer all of our Bear/Manta Ray kits for $20 each! Buy two or more for free US Shipping! Splatterpus to have foil decals! What’s this? Foil decals? From Reprolabels! Pictured here with our 3d-printed prototype (not final). Each sheet comes with two visor and pressure gauge options, plus faction symbols and sawblade detailing. Current plan is for each “Splatterpus” to come with one. 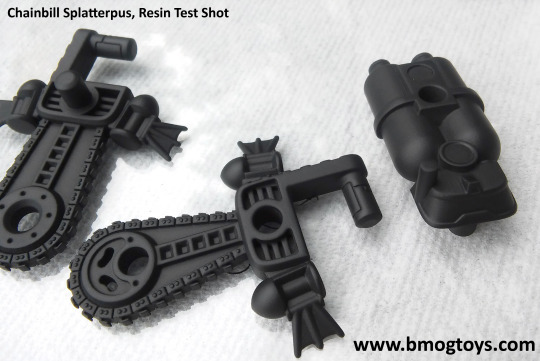 More on BMOG-03 as news becomes available. 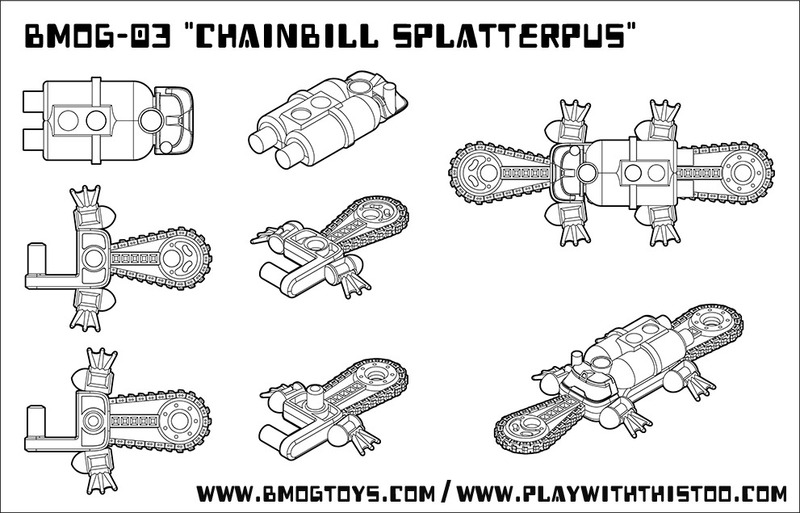 We’re teaming up with Nonnef Productions to produce Chainbill Splatterpus! 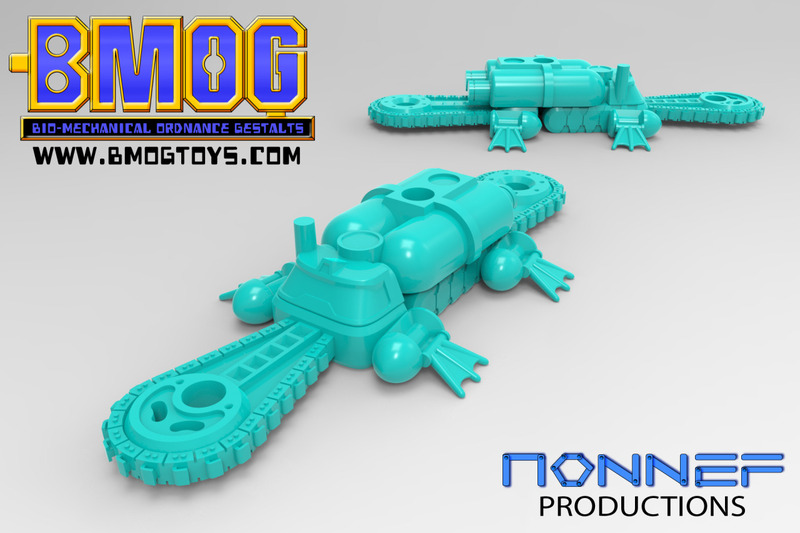 This mechanical monotreme excels at semi-aquatic combat and may be available for sale by and at Botcon 2015 in multiple colorways. 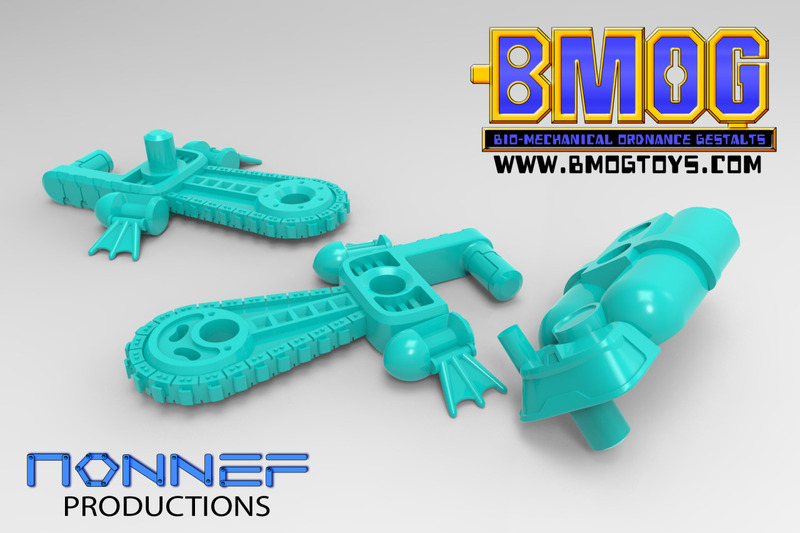 Nonnef’s manufacturing setup is perfectly geared to our needs. More announcements and changes will be coming in the next week or so. The BMOG You’ve Been Waiting for is Coming Soon! Thanks to the good folks over at Play With This Too, we will (presuming theirKickstarter campaign succeeds) be able to produce Chainbill Splatterpus earlier than anticipated. 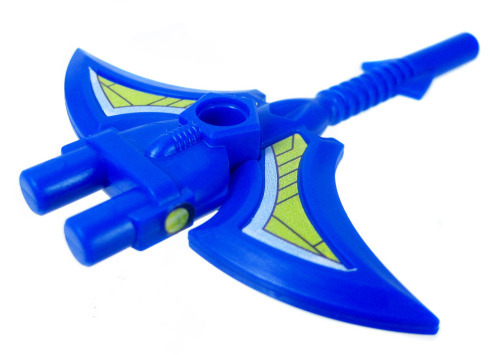 Backers of the PWTT will get the Paraxxoid Monoscream color-scheme free with any backer package of $55 and up. 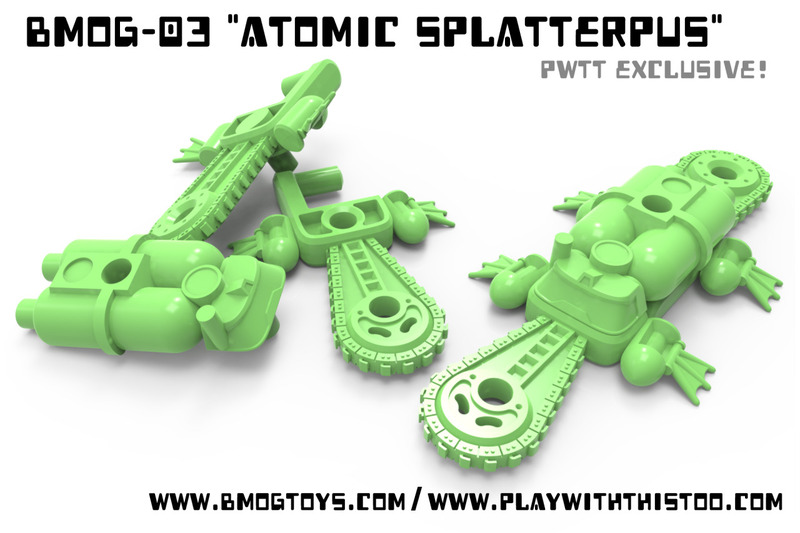 Backers will also have an opportunity to add a glow in the dark “Atomic Splatterpus” to their order. 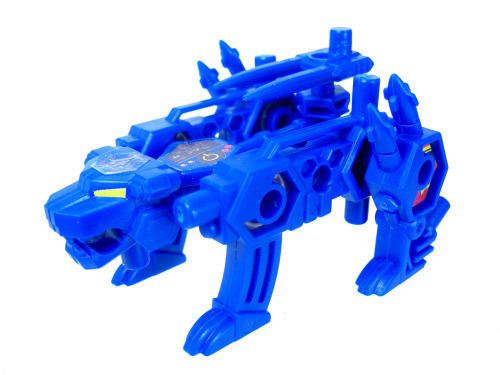 This robotic platypus splits into two chainsaws and a scuba tank/pressure blaster compatible with numerous toylines including (of course) The Lost Protectors as well as numerous figure lines such as Transformers, Micronauts, Teenage Mutant Ninja Turtles and many, many more. Visit Play With This Too: Homepage, tumblr, facebook, kickstarter campaign. 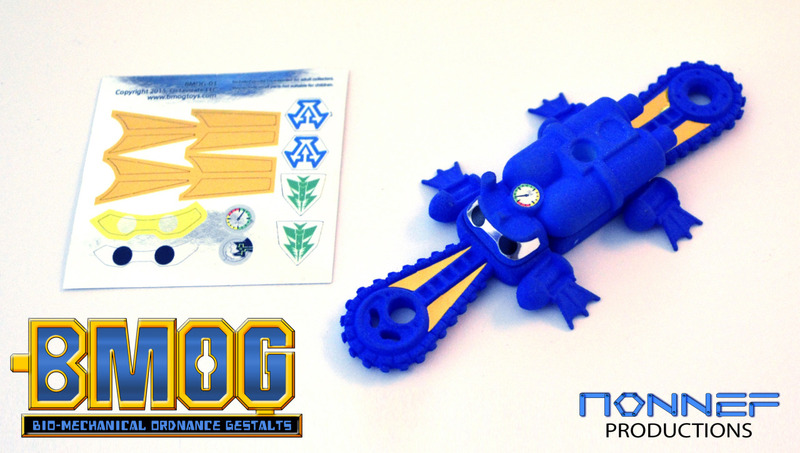 BMOG Toys and Play With This Too are happy to announce that the Play With This Too crowd funding campaign will feature an exclusive BMOG set. This exclusive set will be extremely limited (less than 200 units) and will only be available free to the first backers who pledge at the Play With It All option. Prices for the crowd funding campaign will not be announced until it begins in February.